Ristorante Righi sits in the heart of the small state of San Marino, based on the Italian Peninsula on the northeastern side of the Apennine Mountains. The state claims to be the smallest and oldest republic in the world, but being surrounded by Italy means it has to fight hard for its place on the gastronomic map. However, there is one restaurant that’s flying the flag for San Marino’s cuisine. 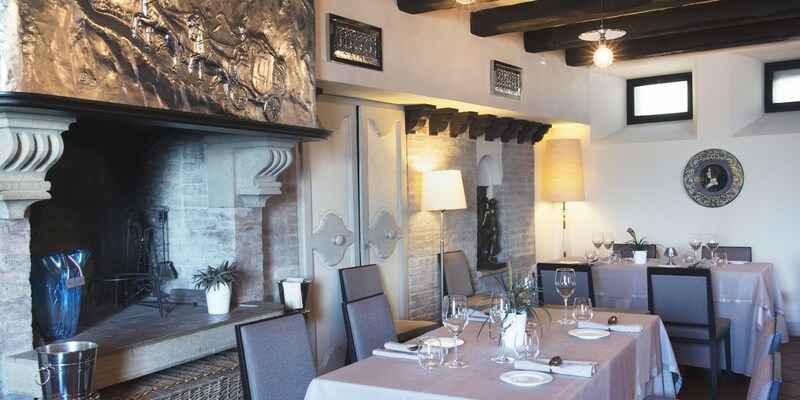 Neighbouring the historic town hall and Public Palace, Ristorante Righi has a breathtaking view of the Pennines and is situated 2,475 feet above sea level. The building that houses the restaurant has had many guises; in the past it has been a post office, a tavern, and an inn, before being turned into a restaurant by Maria Righi fifty years ago. She brought in chef Luigi Sartini to lead the kitchen from 1990, which turned out to be a good move; Ristorante Righi won its first Michelin Star in 2008. Today, the restaurant is incredibly popular with locals and tourists, serving dishes that express the stories of San Marino and its local cuisine. Luigi creates a bridge between the past and present, combining tradition, the flavours of the land and its extraordinary products. The full immersive experience can be enjoyed in the fine dining room upstairs, heated by a large fireplace in a calm, welcoming setting. 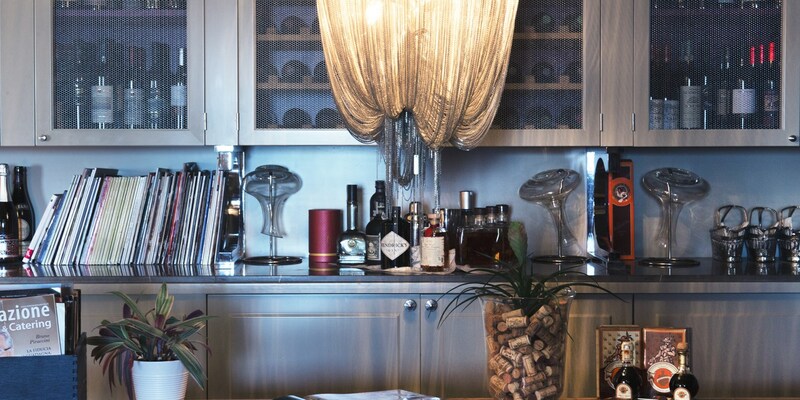 The decorative ambience creates an elegant, luxurious feel, with chandeliers and original artworks filling the room. 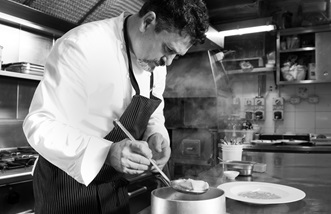 Luigi’s signature dishes combine tradition with his own unique flair, while maitre d’ Paolo Pinna works the room and curates a fine wine list of over 450 labels from around the world, including (of course) the exclusive wines of San Marino. Downstairs, Tavern Righino offers a more laid back approach to Luigi’s cuisine, with simple dishes that express the best of the region's flavours. It offers the opportunity to dine in a beautiful outdoor area, with the most beautiful views of San Marino. Ristorante Righi is the perfect place to carve out a moment of calm and enjoy the dishes Luigi creates, especially for brunch, lunch, dinner or a quick bite before the theatre. The views from the restaurant look out across the beautiful city of San Marino. The little touches throughout the restaurant's interior result in a very luxurious meal. The extensive wine list at Ristorante Righi celebrate's local vineyards and winemakers. 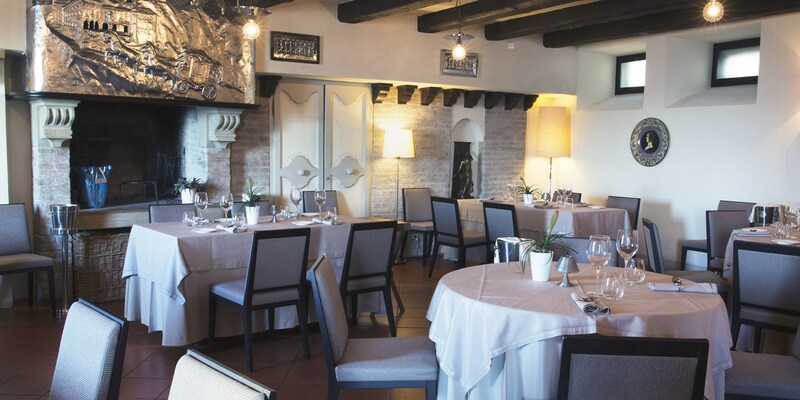 Ristorante Righi won its Michelin star in 2008, and has held onto it ever since. Many of the dishes on the menu at Ristorante Righi are reinvented classics from the local area, thanks to Luigi's passion for seeking out old, traditional recipes. San Marino is full of places to visit and situated right next the restaurant is the historic Palace of Pianello, where the Republic's politicians congregate. They often dine at the restaurant before or after meetings. The local area is home to some excellent wines and Ristorante Righi has a list that showcases the region's best bottles.